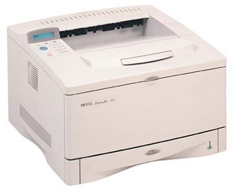 The HP LaserJet 5000 is intended for general office use, finance, CAD, and desktop publishing. However, a decade after its introduction, it's an extremely difficult product to recommend for anything but personal use, as its features have fallen far behind industry standards. Furthermore, its lack of USB ports and dated network support makes the printer extremely difficult to connect to newer systems and devalues its potential as a device for individual use. The 5000 measures 19" by 12" by 13" and weighs 50 lbs. It will fit comfortably on a desk or on a piece of standalone furniture, such as a cabinet or a credenza. Note that other models of the LaserJet 5000 -- the 5000DN, 5000N, 5000GN -- measure 19" by 25" by 20" and weigh 75 lbs. Unlike other LaserJet models, the 5000 allows for wide format printing. It can process paper at a minimum size of 3" by 5" and a maximum size of 12.28" by 18.5". The 5000 also supports printing of full bleed images at sizes up to A3 and 11" by 17" by printing to larger pages. By default, the 5000 comes with two trays capable of holding 350 sheets of paper. Other models -- the 5000DN, 5000N, and 5000GN -- come with three trays capable of holding 850 sheets of paper. In addition to the standard 100-sheet multi-purpose tray, 250-sheet and 500-sheet feeders are available as add-ons, expanding the printer to a maximum capacity of 1100 sheets of paper. Note that the 500-sheet paper feeder is not available for the lower-end 5000LE. The 5000 can feed 10 envelopes at a time. The 5000 prints documents at resolutions of 1200 dpi or 600 dpi. The 5000 includes 4 MB of memory. This can be expanded across three DIMM slots to 164MB of memory. Additionally, a hard drive can be installed via the printer's EIO ports to store fonts and forms, though this accessory adds another moving part and potential point of failure to the unit. Flash DIMMs in 2 and 4MB sizes can also be added to the unit to store additional content on the printer when it has been turned off. The 5000 has an instant-on fuser, eliminating warm-up time. Duplex printing is available through an accessory add-on to the printer. The 5000 delivers a maximum speed of 16 pages per minute, well under the standard 20 pages per minute available on contemporary entry-level laser printers. The 5000 has one IEEE-1284 bidirectional parallel port and an RS-232 9-pin serial port, but no USB connectivity or built-in ethernet, making it almost impossible to connect the printer to any computer that lacks legacy ports or to easily connect it to a network. Network connectivity is possible with the 5000DN, 5000N, the 5000GN, or if you install an HP JetDirect card with an Ethernet port into one of the printer's 2 EIO slots. HP Web JetAdmin can be used to manage the printer if it is networked, eliminating the need for long out-of-date software to check the printer's status or for the included management software, which supports nothing newer than Windows 9X and Windows NT 4. For legacy port users, the 5000 does include automatic interface switching, reducing the need for an external switcher. The 5000's memory can be upgraded in DIMMs either using SDRAM or as EDO memory. While the two can be used in combination, doing so will make all memory in the printer run at the slower EDO speed rather than at the full speed possible with SDRAM. Furthermore, the 5000 comes with 4MB of EDO memory rather than with SDRAM. Some users report that a flaw in connector design leaves the printer's fuser prone to premature failure. 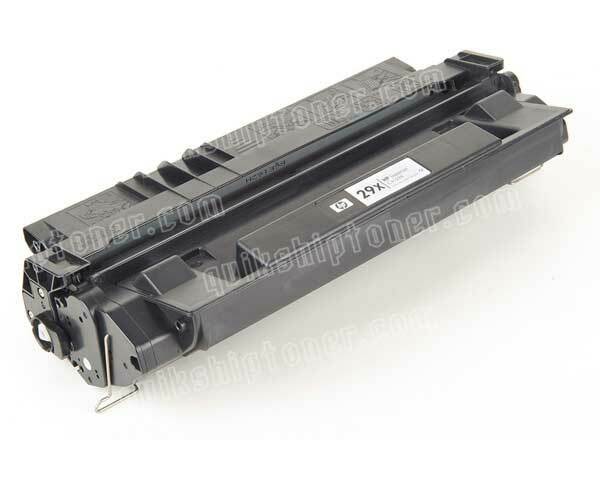 Review it: "HP LaserJet 5000 "
The LaserJet 5000's toner cartridge is rated to print 10000 pages at 5% coverage. 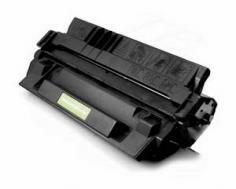 The toner cartridge includes the drum unit, reducing the amount of maintenance necessary to keep the printer operational but also potentially bringing up long-term replacement costs.